Last week my son Preston turned 21. It was hard for me to adjust last year to his no longer being a teenager, but I'd had a year to adjust to the idea of his being a full-fledged adult, so I was ready to celebrate with him! Adult or not, he's still my boy. And I still get the honor of making whatever kind of birthday cake his heart desires. This year, it wasn't a cake he was craving; it was pie. Key lime pie. We don't live anywhere near the Florida keys, and good Key limes are hard to find around here. So technically this is a Persian lime pie, but that doesn't sound nearly so good, does it? I started looking for Key lime pie recipes, but I couldn't find one that quite delivered what I was wanting. So I experimented and came up with my own. If I really can't call it Key lime pie, I know what I'd call it instead: Sublime Lime Pie. Because that's what it was. 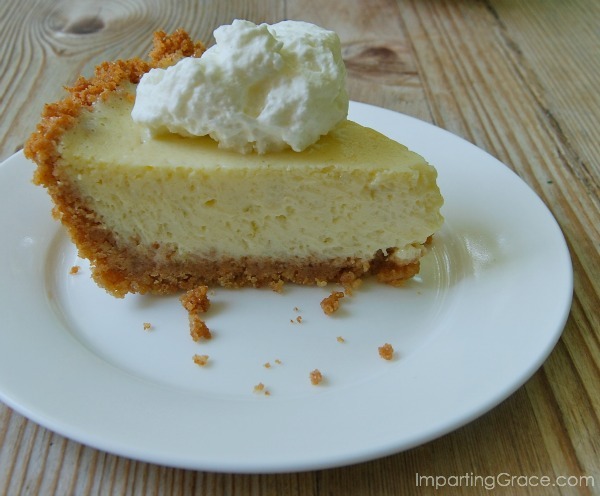 The crust is a simple graham cracker crust. I've used this recipe for many years, and I think it's just the right proportion of crumbs to sugar and butter. You'll need 1 1/4 cups of graham cracker crumbs. I make my own by crushing a sleeve of graham cracker sheets in my food processor. You could crumble the crackers by hand by placing them in a ziptop bag and crushing them with a rolling pin or mallet. One sleeve of graham crackers should yield a little more than you need. You can also buy graham cracker crumbs. But I would not recommend buying a pre-made graham cracker crust. Melt 1/3 cup (5 1/3 Tablespoons) of butter (I do this in the microwave). Add 1/4 cup sugar and the cracker crumbs. Mix well. Dump the crumb mixture into a deep-dish pie pan; form into a crust with your fingers, and bake at 350 degrees for 10 minutes. Set aside. The filling takes a few minutes to make, but it's quite simple. First, you need some fresh lime zest. 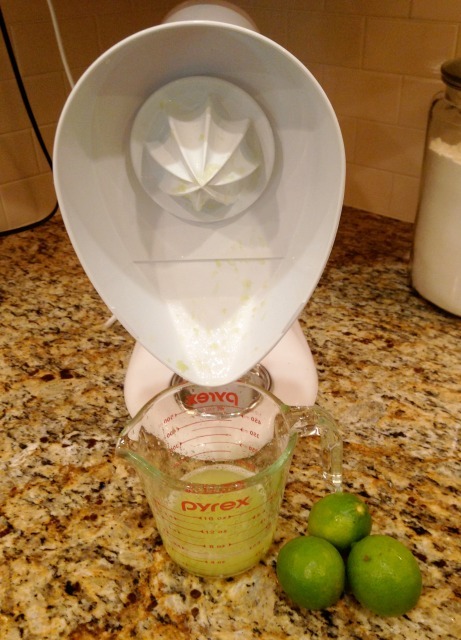 This recipe requires a heaping tablespoon of zest, which was the zest of three of my limes. I don't have a zester; I just use a microplane grater and it works just fine. A tip: zest lightly, getting just the top layer of skin from limes that you've washed and dried thoroughly. Next, you need fresh lime juice. Bonus: the zested limes are so easy to squeeze! No bottled variety of juice will suffice for this recipe, in my opinion. Fresh limes are required, and you'll need several: enough to yield a cup of juice. I was grateful for the juicer attachment for my KitchenAid stand mixer. Then you'll need just the yolks of four eggs. Set the whites aside for another use; you won't need them for this pie. And last is the magic ingredient: sweetened condensed milk. TWO cans. That's the real "key" to this Key Lime Pie. After Preston had blown out the candles on his birthday cake pie, imagine my delight when Jack said, "I think this may be the best pie you've ever made." This recipe is a keeper! Melt butter. Mix cracker crumbs and sugar into melted butter. Press crumb mixture into deep dish pie pan. Bake 10 minutes at 350 degrees. Cool. Beat together lime juice, egg yolks, and lime zest. Stir in sweetened condensed milk. Mix until thoroughly combined. Pour into prepared crust. (Depending on the size of your pain, you may have a bit of filling mixture left over.) Bake at 350 degrees for 20 minutes. Remove to a wire rack to cool. Chill well before serving. Me too Richella, no matter how old mine gets, he'll always be my boy! Looks YUMMY, will have to try this. Hope to see you over at Amaze Me Monday to share it! 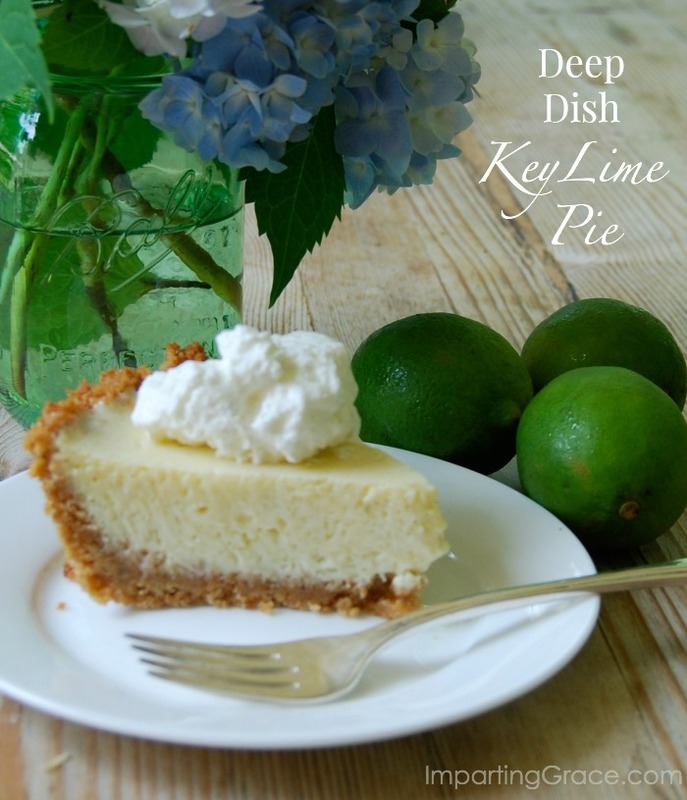 I am the biggest fan of key lime pie - the perfect summer dessert! Can't wait to try your recipe!! I could eat this pie right off the screen! It looks amazing. I'm putting the recipe on my must-try list! Thanks! Oooh! It sounds delicious! Great recipe! 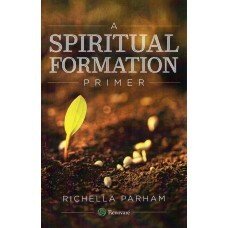 Looks delicious Richella! Thanks for sharing the recipe and Happy 21st to your son!